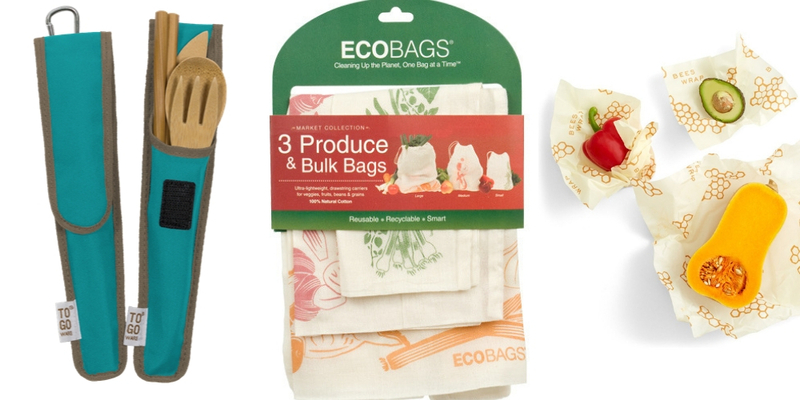 If you are looking to reduce your contribution to landfills, there are reusable products to help you replace some of the biggest culprits for disposable waste in your daily life. No need for plastic wrap when you have this eco-friendly alternative. You can make your own or purchase a set for all your food wrapping needs. You can purchase a pack of three in different sizes for $18 from Abeego or Bee’s Wrap (you can also find a Bee’s Wrap stockist near you on their website). Keep an eye out local vendors who are creating their own beeswax food wrap as well. According to the Trash Free Seas Alliance, the average American uses 1.6 straws a day, which end up in landfills and oceans (where, famously, they can find their way into the stomachs of seabirds and the nostrils of sea turtles). Cities like Seattle and Berkeley now have bans on plastic straws, but you can take matters into your own hands by carrying your own straws. Stainless steel drinking straws with cleaning tools are available at many major retailers; Green’s Steel sells a pack of four for $14.99 (now on sale for $9.99). Metal is usually preferred for its durability, but there are also reusable straws available in different materials like bamboo (like this set of six for $6.95 from the Grove Collaborative) and glass (Hummingbird Glass Straws sells a four-pack with a cleaning utensil for $20).